← Big News from Nordic Game Week! Nordic Game Week Competition 2017 is a Big Bang Legends Speedrun Challenge! Game play with mobile devices has now bypassed all other forms of digital play, including playing of computer games and console video games (source). 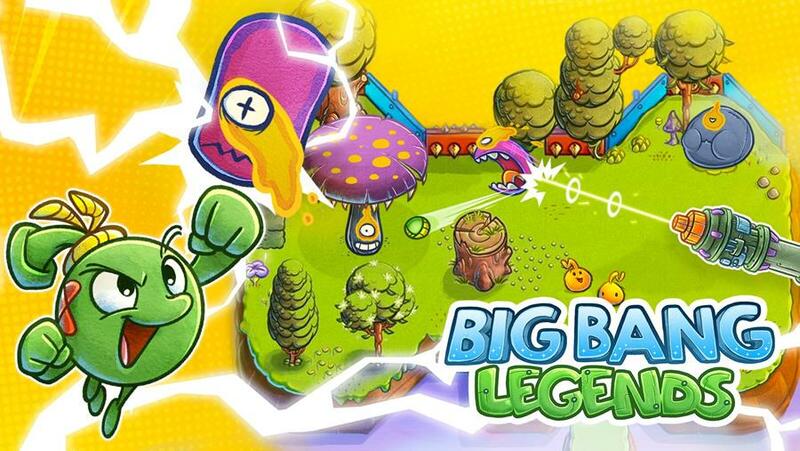 This year’s competition will feature the mobile game Big Bang Legends (available for Apple and Android devices). As the game is non-competitive, we’ve created a speedrun-challenge for the Nordic Game Week Competition. A speedrun is a play-through of a video game performed with the intention of completing it as fast as possible. Speedruns may cover a whole game or a selected part, such as a single level. While all speedruns aim for quick completion, some speedruns are characterized by additional rules that players promise to obey, such as collecting all key items. Players attempt speedruns mainly to challenge themselves and to entertain and compete with others (source). Object of the NGW Speedrun Challenge is to pass the first three islands of the game as fast as possible. Each island has three maps, so the speedrun consists of navigating nine maps as fast as possible. A normal speedrun for the three levels will probably be about 2-3 minutes, with the best times approaching one minute. Stickers and reflectors to win instantly when beating a previous best time. A Trip to visit CERN! For two persons! All who participate have a chance to win the trip, regardless of the speed, but only the fastest players from 10 different local events will win a bag full of gaming fun. One smartphone or a tablet (no internet required after downloading the game). The Trip to CERN Raffle numbered list (download here). Start the game and play through the first three maps (9 levels), so the tutorials and animations are the same for all participants. Get some cards or post-it stickers for the fastest times and put the best time visible near the game setup. Print the numbered list for the participants to enter their contact info (email of phone) after participating in the challenge if they wish to participate in the raffle for the Trip to CERN. Find a table for playing the game and make a timer available for the players to operate by themselves. You can use a laptop or just put a keyboard on the table. Pushing SPACEBAR on the keyboard will start and stop the timer linked above. It’s important that starting the timer and stopping the timer are done by the players, so that the reaction time of the overseer does not influence the final time. Click on the first island on the game so the screen looks like the image above. This is the starting point for all players. Tell the player to start the timer first and then click on the play button and after three islands with three maps on each, stop the timer when the game says Mission complete for the third time. It is possible to cheat by jumping from the first island to the third, so the overseer should make sure the player clicks on the second island and plays all 9 maps instead of just six. If the player beats the best score, write the new best score on a card or a post-it note and write the players contact information (email or phone) on the backside of the card. Tell them they can also participate in a raffle to win a trip to CERN. If they are interested, write their contact information on the raffle list. Give the player a small prize if they manage to best the previous best time. You can host the challenge on just one day or on as many days as you like during Nordic Game Week. The players can try to beat the best score as many times as they like. Just make sure they go at the end of the line between speedruns (if there is one). The players can use their own phones to practice if there are too many players. If you have the technical skills and resources, you should consider projecting the mobile phone on a tv-screen (using a cable, Chromecast or AirPlay) to make the speedrun entertaining for players waiting in line. We will use the number of participants in the raffle to determine the venue where the winner is. We will then contact you for the sign-up sheet to randomly select the winner for the trip to CERN, so keep it safe!